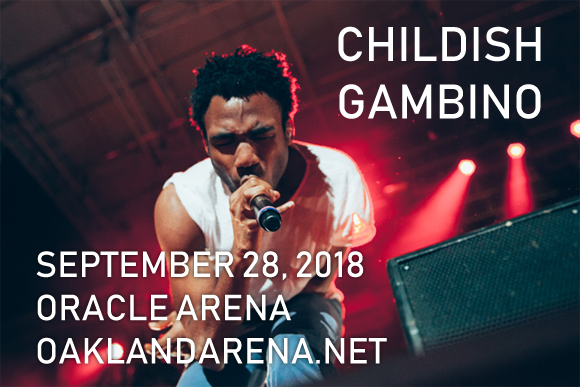 With the news that Golden Globe and Grammy Award-winning auteur Donald Glover will be retiring his Childish Gambino stage name at the end of this year, there's no better time to see the incredible "Redbone" performer in concert! Coming to Oracle Arena on Thursday 27th September 2018, this show is one of the most talked about events of the year and, with the phenomenal Rae Sremmurd as support, you can see why! Grab your tickets now! Childish Gambino is the stage name of American actor, writer, director, comedian, producer, singer, songwriter, rapper and DJ (known as mcDJ) Donald Glover. Signed to Glassnote Records in 2011 after self-releasing several albums and mixtapes Glover released his debut studio album, Camp, later that year, receiving critical praise. Glover's second studio album, 2013's Because the Internet, earned him two nominations at the 2013 Grammy Awards: Best Rap Album for Because the Internet and Best Rap Performance for his single "3005". "Awaken, My Love! ", his third studio album, marked a change in musical direction for Glover, featuring singing rather than rapping, and drawing from psychedelic funk as opposed to the strong hip hop influence on his previous two albums. Nominated for five Grammy Awards at the 2018 ceremony, including Album of the Year for "Awaken, My Love!" and Record of the Year for "Redbone", Glover went on to win the award for Best Traditional R&B Performance.